- Refrigerate, keep fresh: Long refrigerated time（better effect with the ice）. - Thickened desige, strong and durable. - Convenient stainless steel latches. 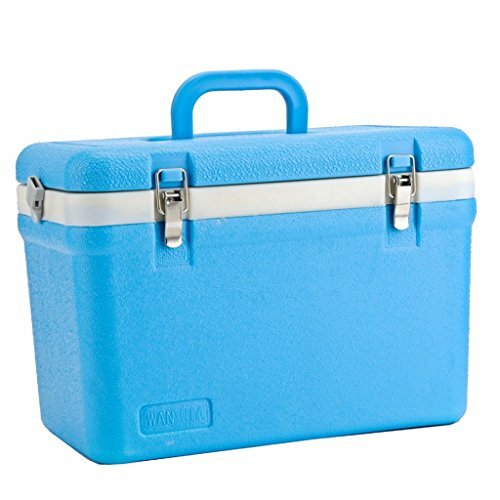 - Best for: square and rectangular glass, plastic and metal food containers, meal prep container, ready meals, breastmilk, salad, soup, liquid and dry snack, sandwich, wine bottles, beverage drink, soda, coke and beer cans. Refrigerate, keep fresh: Long refrigerated time（better effect with the ice）. Thickened desige, strong and durable. Best for: square and rectangular glass, plastic and metal food containers, meal prep container, ready meals, breastmilk, salad, soup, liquid and dry snack, sandwich, wine bottles, beverage drink, soda, coke and beer cans.